This fall collection from Bear Pawlish is absolutely stunning so I won't waste any more of your time with an intro, let's go! Buried In the Garden has such depth! 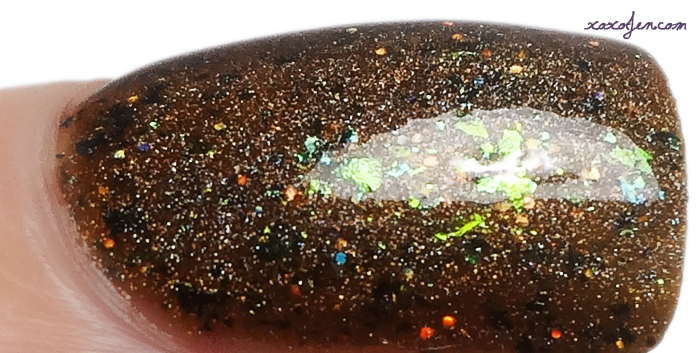 I'm lovin this jelly style polish with chrome flakes and holo flair, together they create a complex, yet beautiful polish! I would love to see more in this vein from Bear Pawlish! Two buttery coats and topcoat were worn for photos. 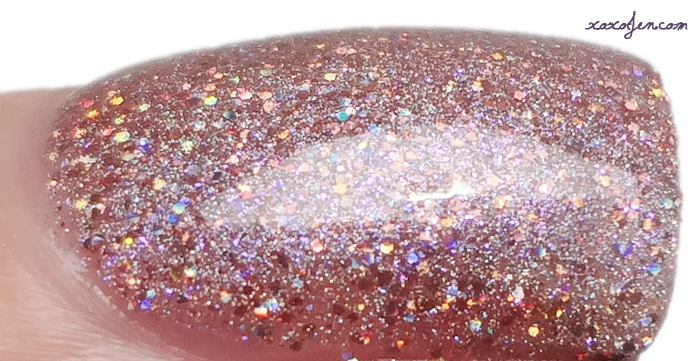 Baby Bears Breath is stunning, not only because of the holo sparkle and purpley shimmer, but also the almost smokey shade of pink in the base. I don't think I've seen anything quite like this before! Just two coats gets you to opacity. In Love With Bad is pure seduction on the nail. Deep, vampy sultry - it's all that and a bag of chips! Great formula, opaque in one coat; however I used two coats for the sake of photography. Aurwens Violet was inspired by one of Tennessee's favorite flowers, the Dahlia. This beautifully rich shade of violet is my favorite of the collection. The formula is easy to control on the nail which equals very little clean up. It dries to a glossy finish and is opaque in one coat, but darkens with the second coat. You can find this stunning collection at the Bear Pawlish online shop. There all so pretty. My favorite is Baby Bears Breath. WOW! What lovely swatches. I may need to go get In Love with Bad. 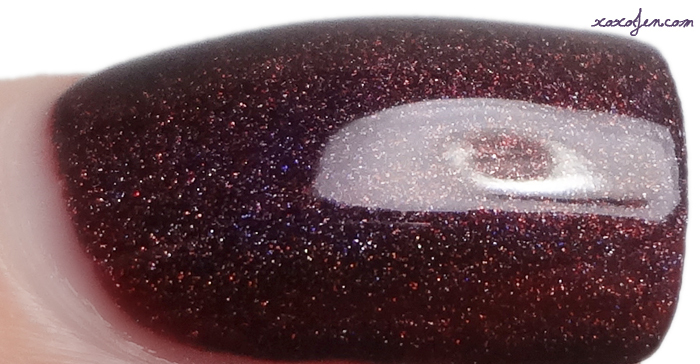 I cannot get enough vampy reds, especially with the holo that Tenn is known for! Thank you so much for the kind comment! In Love With Bad is definitely a vampy rich shade! 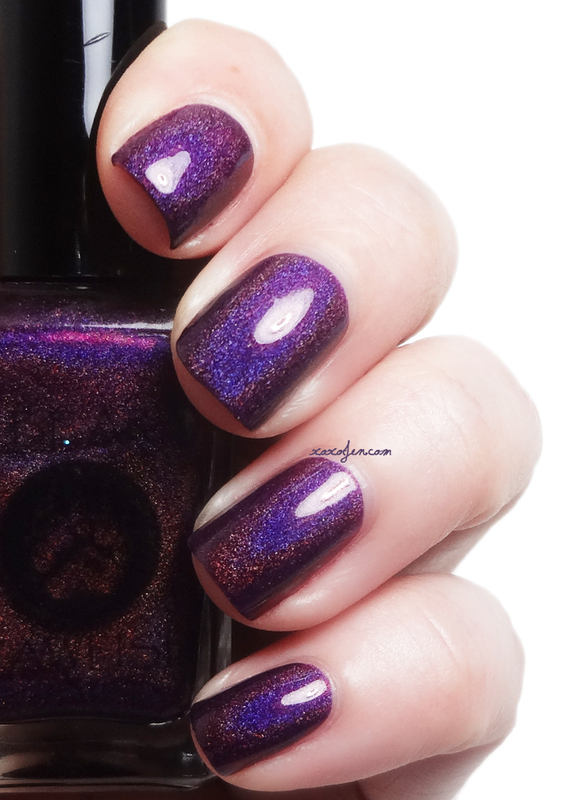 Okay, your manis / swatches of these are gorgeous! I am slipping further down that slope called Buy All The Polish!